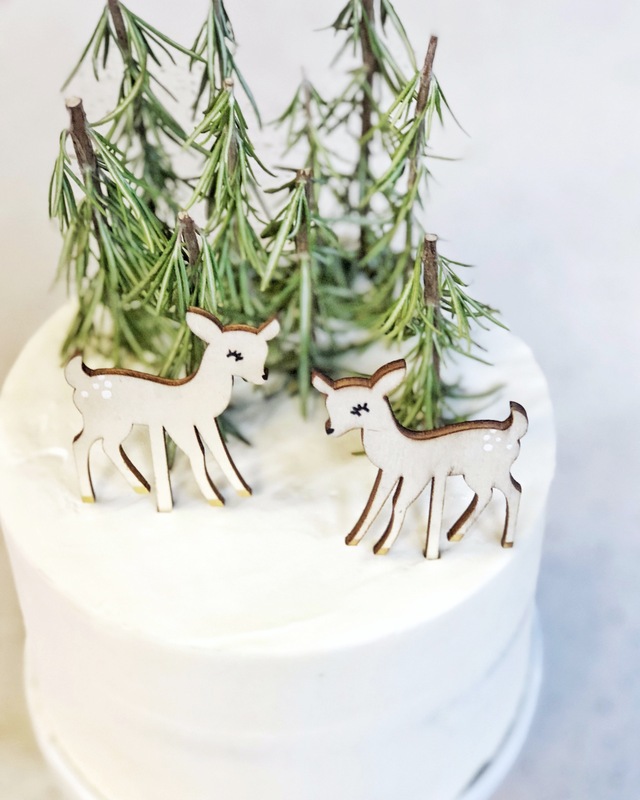 I just recently spent an afternoon at Fox 13’s The Place, sharing four easy and super cute Christmas cake decorating ideas. Nothing extravagant. Nothing difficult. Nothing time consuming. 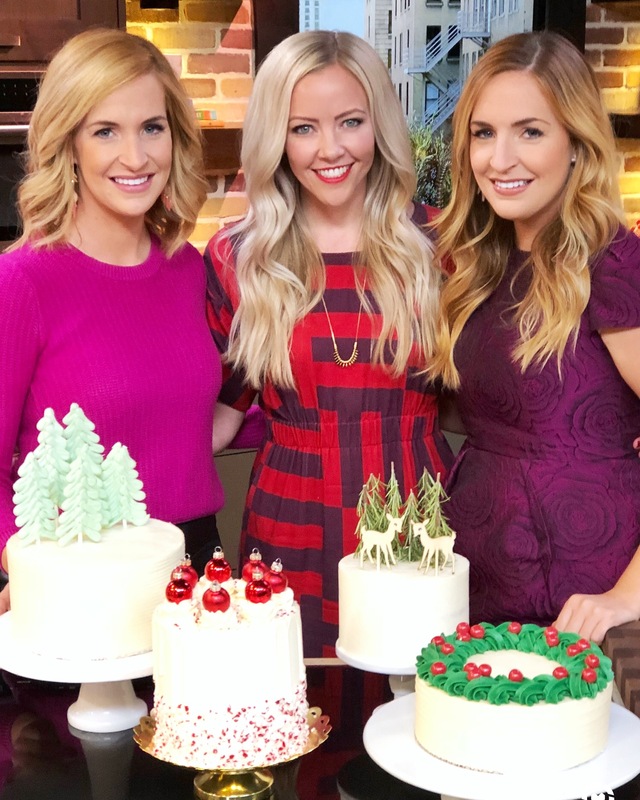 The first cake I shared with Brooke and Brittany was my new White Chocolate Peppermint Cake. 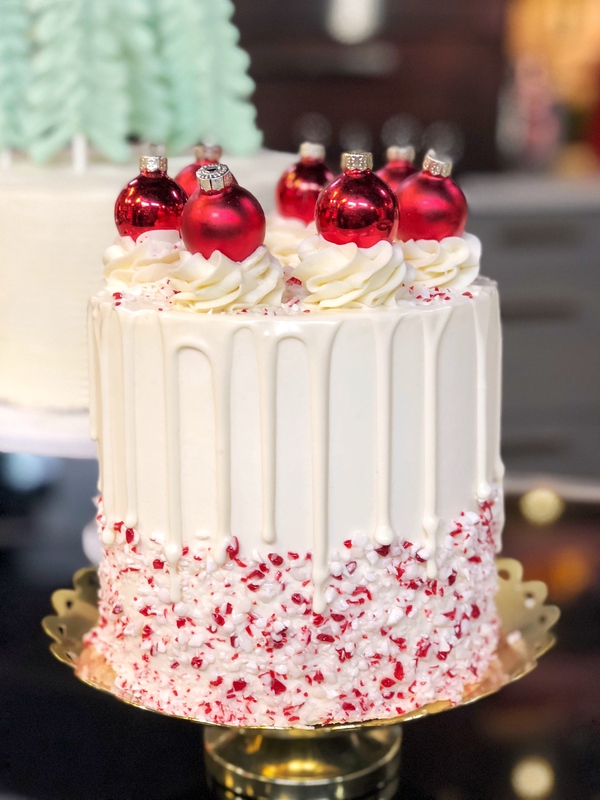 This cake is so delicious and with some crushed peppermint candies and mini red ornaments, it’s a breeze to decorate. For instructions on how to decorate this cake, check out the video below. You’ve seen me do a lot of the buttercream braiding lately, and it’s not stopping any time soon! I’m obsessed! 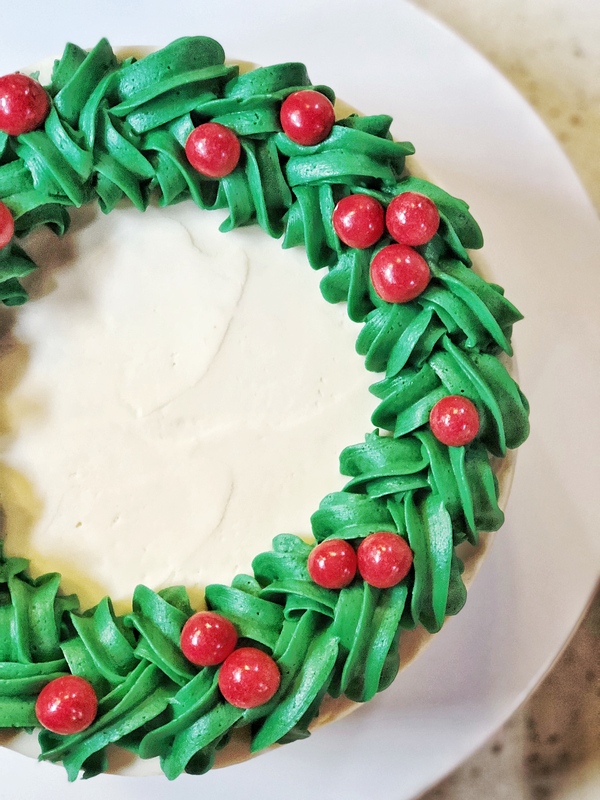 This time, however, I gave it a little twist by adding some green food gel to my vanilla buttercream to create a wreath out of the braid look. I then added red chocolate peppermint candies for berries. 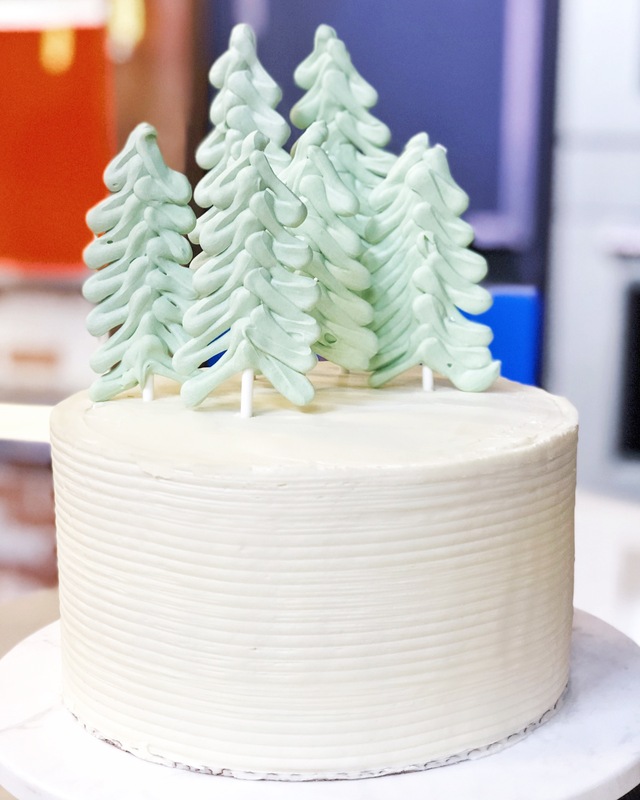 You can watch a demo of the braid technique, along with instructions for the chocolate trees you’ll see below in this next segment. I love this next decorating idea. These white chocolate trees are so simple and so classy. I used white candy melts with just a touch of green food gel to get this muted green color. To make these darling trees, you just need some candy sticks, white chocolate, a piping bag and parchment paper. The full instructions are in the video above. Last but not least, these wintery evergreens are made by pacing rosemary stems upside down. That’s it! How simple is that?! I also got these cute wood deer from Meri Meri. To see how I strategically place the delicate “trees” into the cake, take a look at the final segment from the show. Here it is Christmas Eve and I’m watching your cake videos!!! I’m definitely using your designs for inspiration!!!! Thank you and Merry Christmas!